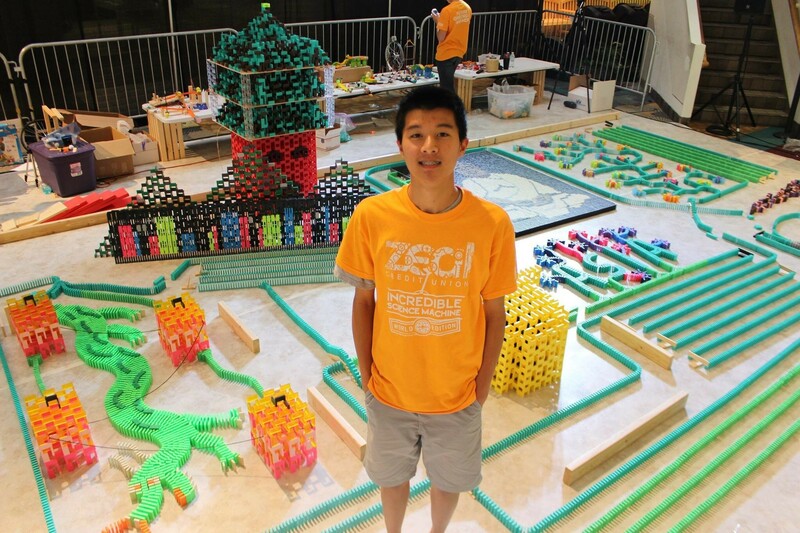 Alex Huang, second-year civil engineering student, is hoping to break the Guinness World Record for the longest chain reaction in the world. This past June, Alex and his team created a 300-step chain reaction during their 2018 REACTICA event at the Children’s Discovery Museum in San Jose. They are hoping to break the current Guinness World Record for the longest chain reaction at 412 steps during their upcoming event in June 2019. The team spent over a week constructing and designing their chain reaction using regular household items such as dominos, cups, K’nex, wooden blocks, and hot wheels ramps. 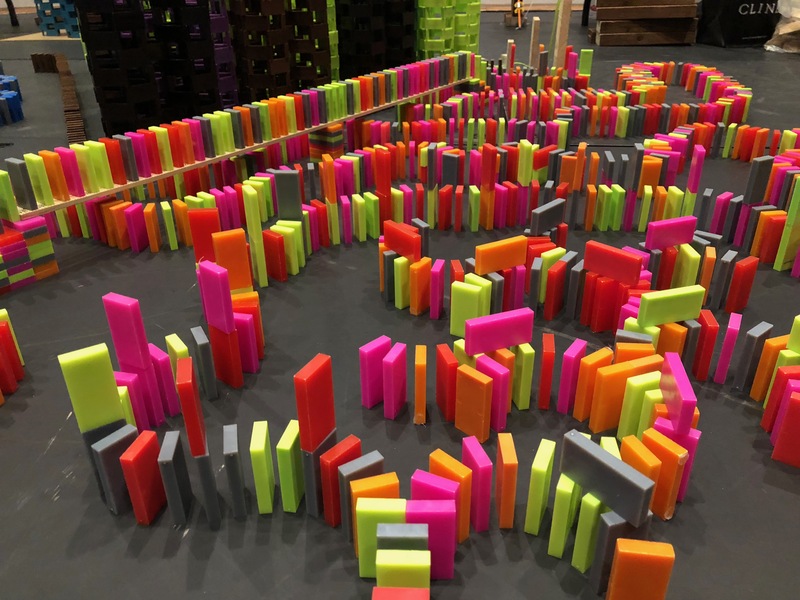 The design featured seven Rube Goldberg machines and over 15,000 dominoes. A Rube Goldberg machine is a machine designed to complete a simple task through a series of complicated steps. Some of the design elements are planned beforehand but the majority of it is created on the spot. “The idea you have in your head for the design may seem ridiculous but if you set your mind to it and have a good team, you can build anything,” said Alex. The entire chain reaction took about 5 minutes to complete. Alex believes that chain reaction is a way to demonstrate otherwise complex ideas such as physics in a manner that is easy for kids to understand. He hopes these events will inspire younger audiences to build chain reactions and pursue careers in STEM. 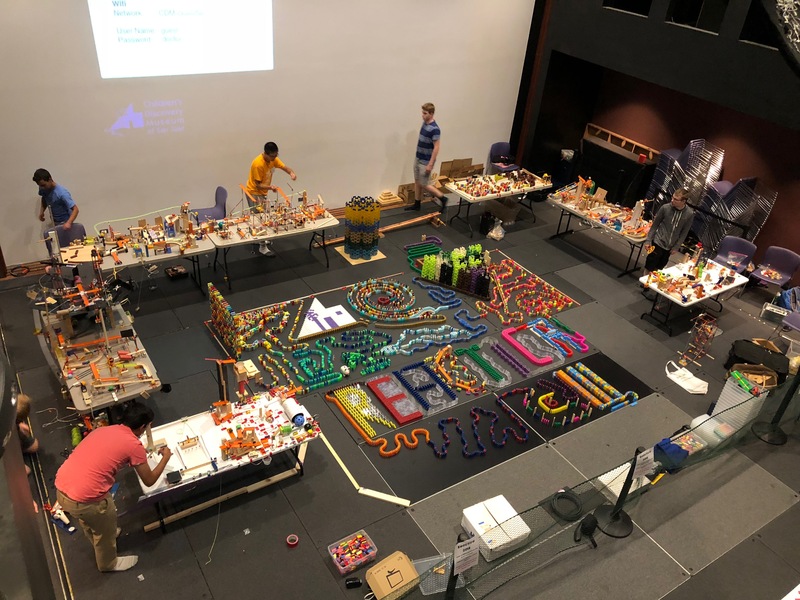 For the past three years, Alex and his team have hosted the annual chain reaction event REACTICA at the Children’s Discovery Museum in San Jose. Alex started the event on his own but brought on teammates after meeting chain reaction builders like himself online. Alex started building smaller domino chain reactions seven years ago in middle school and was inspired by others to start a YouTube channel to share this passion. Alex now has over 4,500 subscribers on his channel and hopes that in sharing videos of his chain reactions he can inspire others to build. The current world record is held by Latvian e-commerce company Scandiweb .